When I was in my 30s (I’m now 55), I read several books about OBEs or what is often called astral projection, most notably the books by Robert Monroe. I was fascinated by the OBE and astral projection phenomenon and I really wanted to have an OBE myself, to know how to OBE, how to astral project. My interest at the time was primarily to just have a really cool experience. Decades passed, however, and it didn’t happen. I kind of forgot about it and never pursued actually making it happen. Last month, I had my first OBE and astral projection experience! Actually, I had 4 OBE experiences while I attended a one week intensive program offered by the International Academy Of Consciousness (IAC) called the Consciousness Development Program and have had many since returning home. Normally, IAC runs the program on several back-to-back weekends, but once a year they do it in a week long intensive. Wow. It was majorly cool and I highly recommend it! One of the instructors, Luis Minero, just released his own book called “Demystifying The Out Of Body Experience” which I highly recommend. If you’re a Phase 2 Player, having an actual experience of who you REALLY are — Consciousness — separated from the body, and also experiencing the illusory nature of the physical universe (and that there’s much more “beyond” it) can be very powerful. I must also express my appreciation for the IAC team of instructors in the Los Angeles office (they have offices all over the world) where I took the class. Four of them conducted the sessions and they were all awesome. 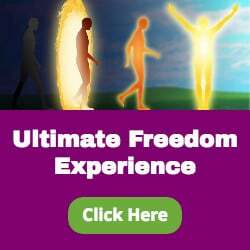 The support they offered for understanding the OBE and astral projection experience, seeing how it can be used as a “consciousness expansion tool,” and actually having one, was superb. Some things they taught in the program are not in alignment with what I teach, See, and Experience, but that doesn’t matter. I went for the OBE dynamics. I’ll be talking about this more in future posts and also on my Illusions and Truth show podcast, but for now, I just wanted to plant this seed. BTW: If you’re a Phase 2 Player or participating in the Being In Truth Experience, you know there really isn’t a body to travel “out of” (it’s just a story, an illusion), but depsire that, this particular story can be a way fun one to experience. 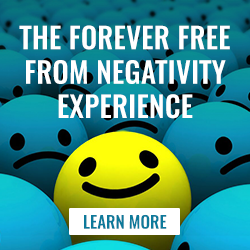 Finally, if you’ve discovered The Ultimate Key To Happiness, or participated in the Being In Truth Experience, you’ll find it interesting to note that The Mind Machine completely disengages while having an OBE! Please Facebook Like and/or Tweet this post and share it with everyone you know who’s interested in having an OBE and experiencing astral projection. I’d also love to hear your comments below if you’ve had an OBE, have always wanted to have one, etc. I can imagine it would be really supportive to have experienced playmates/guides while exploring such an adventure, as the dynamic can be pretty intense I found, though huge fun! Cool, Sean. The amazing thing is when you can choose to have the experience, so to speak, versus being “at the mercy” of random appearances. Enjoy! ‘Adept’ rather than ‘random seer’ is certainly more appealing, in terms of game dynamics! I used to have those experiences when I had a fever as a child. I would fly over my neighborhood and it was so much fun. I would look forward to having those shots at the pediatrician’s because I would then get a fever and fly. So pleased you have experienced OBE`s. I hadmy first one years ago due to a shock – I was somewheere near the ceiling and I sawmyselflying on the floor having fainted,but I knew that I was OK. I have also eperienced going beyond duality and polarisation – also saw how I processed and saw I wasalso working within the limitations of a thoughtform Iwas enclosed in. Since then I have experienced a kind of OBE state as `witness`consciousness seems a bitlike that as I can see myself when Iam caught in 3d consciousness. Iam not surethat because I could see the witness whether I had come into pure awareness. Had ‘flying dreams as a kid. They have re-emerged in recent years tho they’re not frequent. Read Munroe’s book when i was 16 but never succeeded in generating an OBE. Found myself floating on the ceiling one night but that’s the nearest thing. Shot straight back into my body when i ‘realised’. Like you, Robert, I’d love to explore this aspect of consciousness. There’s an IAC school in Auckland that I’ll make contact with. Thanks for the heads up! What a fun ride! Sounds like a good way to have OFB experience by design than by default, which happened to me a few times. Hey, Thanks so much for posting about this! Like you, this is something I’ve been interested in for YEARS – read about it, attempted, but never really succeeded at! I remember being very into it about 15 years ago, while in high school… and never really getting anywhere with it. It’s been coming up more often lately, which makes me think it might be time to take another serious look at the subject! I’ve looked into the CDP course and have contacted them about taking it! Thanks for the intro! My pleasure, Sam. You’ll be amazed at the amount of data they have on OBEs, how much they’ve studied it, etc. Enjoy! Great to hear about your OBE’s I had my first a few years ago before discovering Monroe institute & “I” freaked out as I was in Ph !. 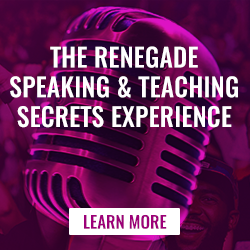 However since then I have had a couple of small trips so to speak, and as I became conscious of them I immediately leaped back inside my body using Monroe techniques, and great to hear there are many paths to this discovery. Awesome to have such an experience going as smooth as described! When I was an adolescent I studied that possibility and attempted to do that. It “happened” one night and it was one of scariest experiences in my life! I was so frighten that I went only half way out of my body, and was struggling to get inside again, looking at half my face! Man! I closed the door in fear to anything like that until a week ago when nothing was “going right” and I had this idea to do that again and just let go and get lost from this ride. Didn’t work. But now I want to experience that, not to escape, but to enjoy that ride! I have been trying to do this for ages and even downloaded a great free book at obe4u.com but unfortunately every time I really want something my big piss taking self makes sure I don’t get it. I try to re-claim power but are having huge amounts of trouble with appreciating something that annoys the crap out of me most of the day. This makes me wonder if I’m even doing it right as I’m so angry I can’t even say the words and my higher self cops some abuse. Patience is over rated, but thanks for the info. I used to have OBE as a teen and younger woman. I was able to float round the bedroom, bounce off the ceiling and go out even getting sucked up into outer space a few times. It can be scary at first and there were times when I was sucked back into my body, but I practised the techniques I found in books nightly. I know I’ll be ‘out of my body’ soon enough. Being really Happy right now where I am, is my achievement! First, so tickled and appreciative of your presence in my life. Love this post and this subject! Approximately a year and a half after I really got into my Spiritual journey…… back to who I really am….. I started having spontaneous lucid dreams and astral projections. Didn’t even know what they were called until months later thru reading the information that was flowing to me. I think it is very helpful in really grasping the idea of our Expanded Self and the amazing multidimensional reality in which we exist. I so appreciate that my very first experience was a lucid dream in which a beingness appeared and flowed it’s essence in a stream of consciousness into my solar plexus region. In this stream, I could FEEL who they were, which was powerful powerful powerful confidence and ease. I don’t really know who for sure who this consciousness was, but I choose to see it as my Expanded Self and my appreciation for that experience is beyond words and has even sparked wonderful paranormal experiences in this reality. Hope you share more on this topic. By the way, my experiences are through Phasing, not OBE. Very cool stuff. Thanks for the comment, Melanie. Very, very cool. I’ll share more as time passes. What’s “Phasing”? Phasing is the modern version of OBE. As you know, there is no body to exit and nowhere to go, since Consciousness is within. Apparently the need to get out of the body and create another in which to travel is a belief. Robert Monroe originally named it Phasing when he discovered his “quick switch” method after decades of traditional OBE. I discovered it from Frank Keppel. This link takes you to a special page at the Astral Pulse created in honor of Frank and all that he contributed to the forum on this technique during the early 2000’s. Also of real value is this amazing thread which took place during that time period and is a thrilling informative joy ride for those of us in the learning curve. I found this thread in a compilation of all of Franks posts at the Pulse made by Ryan, which you can download at his site. It’s the first item in the menu under “Other Helpful Links”. As soon as you click it, it downloads. Extensive and repetitive, but fascinating. Thanks Ryan and thanks to Frank and the Astral Pulse!! Robert, I think you’ll love it. We each have a Consciousness Continuum along which we can focus our awareness. My first experience of the “Astral Screens” was long before I knew what all this stuff was, sitting on my couch wide awake in broad daylight. I thought, “What the frill! Other realities are intruding into mine!” That experience alone was a huge lightbulb coming on to illustrate the multidimensional and fluid nature of who we really are. Hi Robert, thanks for this post. Really cool. Been following your teachings for 3years now. It’s been a most fascinating experience. The character Avani seems to be drawn to many opportunities more related to consciousness exspansion and exploring beyond illusions. There was one experience in particular that was short but fun. Whilst lying in bed avani, it seemed, rolled out of body which felt very freeing and yes in that brief moment the mind machine stopped. The sensation was like no separation of anything at all. Just a sea of creation. Oneness. It only lasted what seemed to be a few minutes. It was a spontaneous experience after reading a book on astral traveling! Pretty cool. Just purchased the demystifying book you recommended. Many thanks indeed! I’m still having a lot of fun with this, although it has naturally evolved, shifted and simplified since the door opened through the course mentioned above. Course, that always seems to be the case on my journey! Hi Robert, Im currently experimenting with Robert Monroes Hemi-sync focus 10 method. No OBE yet but, some pretty interesting experiences.. I read Busting loose from the money game about a year ago. My situation is 100% different now. I decided to give myself more time, more money, I have a new job and my relationship with my girlfriend is drama free now. I’ts like a whole new life.. People behave differently.. I cant even explain it. There were some scary things, things i thought I’d never face. But now, everything is funny! I have more of everything at the moment. Who knows where I will take myself in another year! Can I get an invite to the True Creative Power Community? Using much of what is in the book I recommended above, but in a live setting, that’s what opened my first OBE and there have been many since. Nancy in my office will reach out to you with an invitation to the Community. Not sure how active is at at the moment, just so you know. Glad things have transformed so beautifully for you! As for the TCPCommunity, I’m sure if you start off some cool topics some of us will show up to play! I had an OBE once when I was 12. I was walking across town and had the sensation that I was floating and observing the landscape from above myself. As soon as I realized the shift in perspective it was over. It seemed odd but not in a threatening way. I never told anyone about it and forgot about it until years later when I read about OBE and remembered I’d had one. It’s common to have an experience like that, become aware of it, and then it ends. Cool that you had it and can now remember it. It reminds me of a couple of similar experiences, one was where I became absolutely aware that ‘my person’ was/is my mind walking though the world which was/is also my mind, no difference between them! The other, I was in a country pub ordering lunch and suddenly I became aware that I existed throughout the air space of the bar, in and around all the people and things, this was a cool one because I kept conversing and operating as usual in ‘the physical’ while also enjoying this unusual expansion. In both cases the perceptions did not immediately evaporate, I was aware that I was aware and still the experience persisted a little while, but eventually it did ‘wear off’. Also, in both cases they just kinda happened, no real focusing on making it happen or anything, except for being interested in and open to the subject! Thanks for sharing this Robert. I have been interested in Astral Projecting for a long time now, then thought it was another story we created in the “spiritual” arena. I had not realized that my younger years of flying all over the house and ceiling in my homes may have just been an OBE. Thanks to these posts cos when I tried a few techniques later in life, I could not do it! Read your 2 books, Money and Business Game about 4 years ago then 2 years ago found Access Consciousness, which did expand me heck of a lot too. Now I am inspired further and re-read your Busting Loose from the Biz Game again. Gained a deeper understanding of it and I love it. May still play the “facilitator” of awareness game with Access and keep “being: the Infinite Being I truly BE!